If you are interested in moths then you really need to see our Moth Maps page. The maps are created and maintained by Guy Meredith. 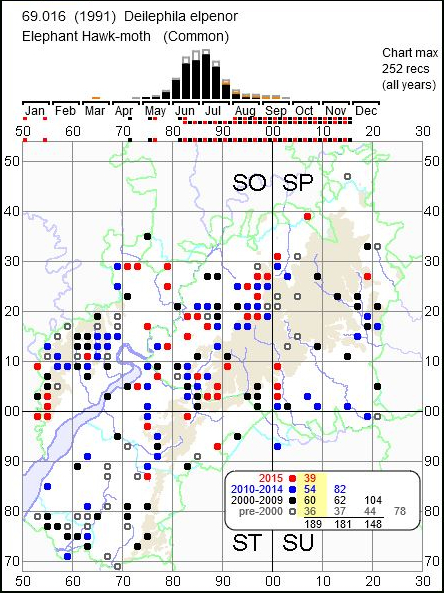 They use moth records sent in by individual recorders to our County Moth Recorders and are well worth exploring. 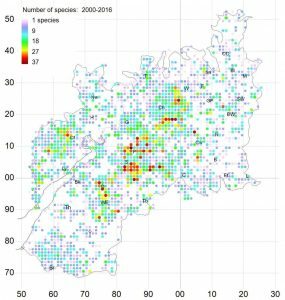 Immediately below the maps is a lot of other information including a link to the Gloucestershire species lists. On that page you can produce a range of lists, for example, all the species that have been recorded in the middle of November since 2000 – it’s a surprisingly long list. Guy has now added a Highlights Report button to the page, this gives a summary of the moth recording highlights of 2016 (sometime during 2018 that will be replaced by the highlights of 2017). Did you know, for example, three moths were recorded last year that had never been seen previously in the county or that the Silver Y was recorded over a larger area than the Large Yellow Underwing. 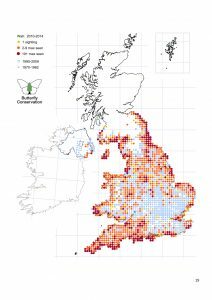 Some of the information available via Moth Maps will only interest moth enthusiasts but overall the data collected and its analysis is vitally important for conservation work. If you record butterflies or moths, even if only occasionally then please pass your records to the County Moth or Butterfly Recorders, you can contact them via our Committee & Contacts page on the menu. Rough Bank is our ‘star’ reserve, you can download a leaflet about it from our Downloads page. During 2017 Guy Meredith has been creating a set of photographic tours of the site. A small map next to the photos shows where each photo was taken. You can choose to follow a complete tour for a particular day or you can select a view and step through the photos taken there through the year. 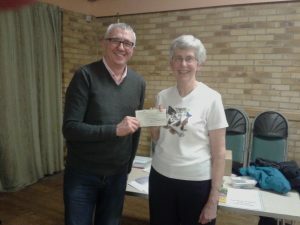 The Gloucestershire Branch was delighted to receive a cheque from Gloucestershire Naturalists’ Society (GNS) which will pay for the creation and production of the Prestbury Leaflet, the updated Rough Bank leaflet planned for later this year, and a new sign board for the butterfly nectar garden at Prinknash Abbey. 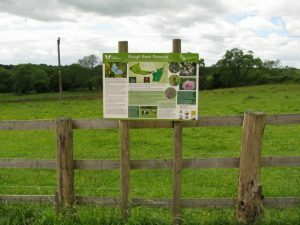 This will be a great help in highlighting these areas that are important to many aspects of wildlife in the county and educating people about what can be done to help butterfly and moth species on these sites. 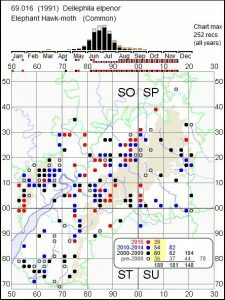 GNS is the natural history recording organisation for Gloucestershire, recording all of the wildlife in the county. GNS publishes a quarterly newsletter, a journal, The Gloucestershire Naturalist and an annual Bird Report as well as organising lectures and field meetings. 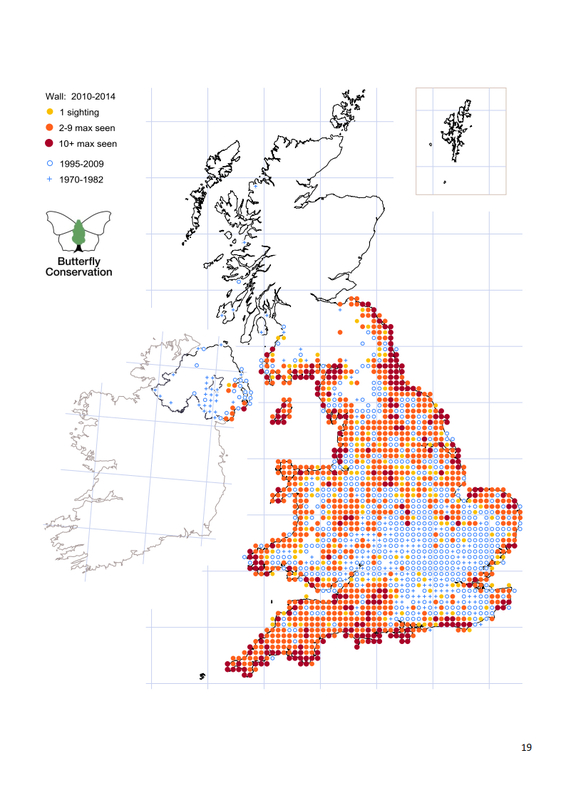 The white square map showing the distribution of butterfly records, has now been updated. We still desperately need volunteers to record in the ‘white’ areas – these are areas for which there are no records. If you live in or near these places or regularly visit them and can confidently identify butterflies, please could you do some butterfly recording there? It may only involve a couple of visits, but more if you get the bug! Please submit your records on a casual recording form which can be on the Downloads page. It is available both as an Excel form that can be filled in on the computer and as a Pdf file that can be printed and filled in by hand; email or post the completed form to the County Recorder. Please contact Chris Wiltshire, the County Butterfly Recorder at butterfly-recorder@gloucestershire-butterflies.org.uk or Vic Polley, Assistant Butterfly Recorder at vic@gloucestershire-butterflies.org.uk if you have any queries. 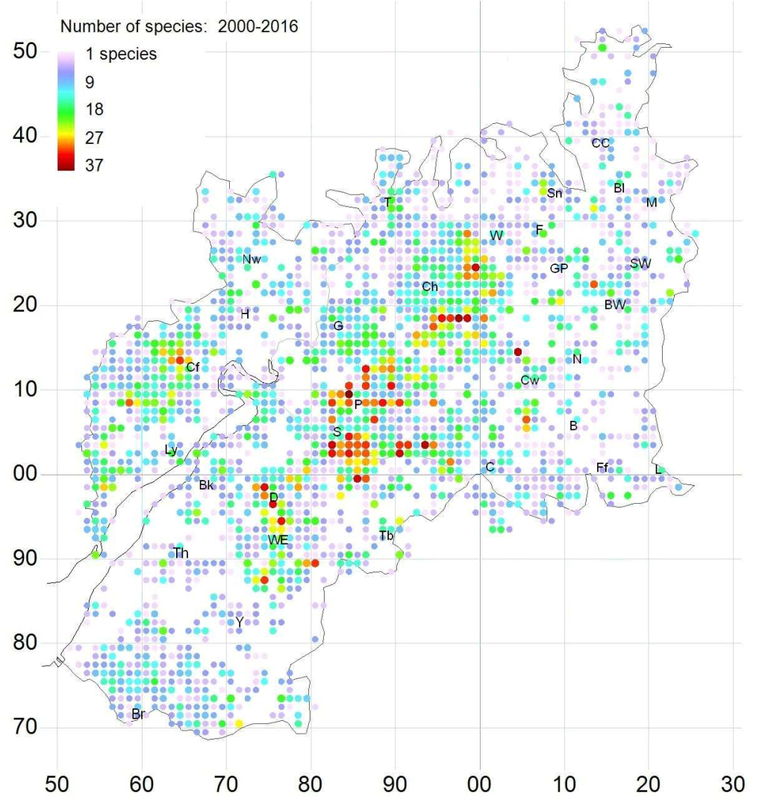 We are lucky in Gloucestershire to have three Butterfly Conservation Reserves. Two of them, known as the Masts Field and Bill Smyllie Reserve, are linked as the Prestbury Hill Reserve. The Prestbury Hill Reserve adjoins Cleeve Common – which covers most of Cleeve Hill, the highest point of the Cotswolds. This is one of the most extensive areas of limestone grassland in the Cotswolds, encompassing surrounding areas of private farmland as well. The two parts of the reserve were purchased in 1992 and 1994, starting with a generous donation from Dr Bill Smyllie, an international expert on the Brown Argus butterfly. The beech wood separating the two parts is not owned by BC. The Masts Field is part of a Site of Special Scientific Interest (SSSI) – legal protection for our most important areas for nature conservation. The reserve lies within the Cotswold Area of Outstanding Natural Beauty (AONB) and is designated Open Access land so may be enjoyed on foot in accordance with the regulations. The new leaflet is printed on good quality A3 paper and folded so that the front looks like the picture shown – click it to see a larger version. The leaflet will be available at most Gloucestershire branch events and will be sent to new members in their introductory package. A version suitable for A4 printing can be downloaded here. The cost of the new leaflet was supported by a generous donation from the Gloucestershire Naturalists’ Society. Our third reserve is Rough Bank, we have a downloadable temporary leaflet and plan to produce one similar to the Prestbury Hill leaflet. An Ordnance Survey map showing its location is on our Useful maps page. The Gloucester branch AGM was held on 29th October. The minutes can be seen on the Downloads page. There have been three sets of changes to the website in the last two or three weeks. The first batch of changes were to make maintenance of the website a lot easier. Most of them should have been invisible to everyone. The second batch of changes were all about visibility. Their purpose was to make the website responsive – this simply means it will look different depending on your screen. Previously pages had a fixed width and so on a narrow screen bits were chopped off; now the page becomes narrower to fit the screen. This can have unexpected results, for example the menu that is normally at the left of the screen may be moved to the bottom and everything may be a bit too small on a phone. Finally, pictures in blog posts and some pages, e.g. the life cycle of the Orange-tip butterfly (now updated with more pictures), are expanded more conveniently than previously when clicked. The pages accessed via Species & Habitats and Moth Maps on the menu are not responsive as they have been constructed in a different way. If you encounter any problems with the changes please contact me via Web Master on the Committee & Contacts page.